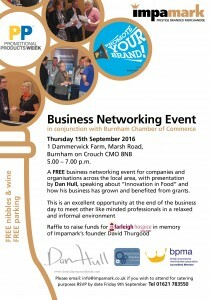 As part of Promotional Products Week (PPWeek), Impamark will be holding a networking event on the 15th of September. This event will be held at their offices at Dammerwick Farm in Burnham. 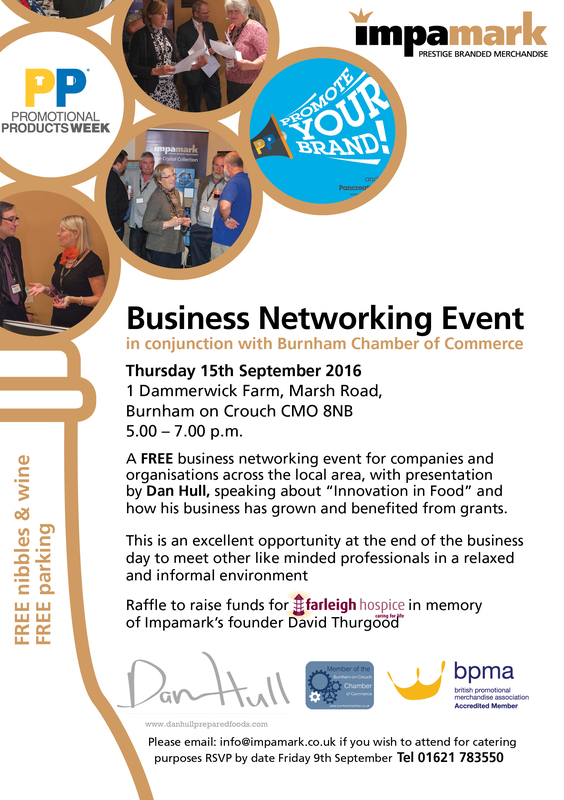 Local businessman Dan Hull will be giving a presentation on how his business has benefited from grants, and Innovations in Food. Additionally, a raffle will be held in aid of Farleigh Hospice in memory of Impamark’s founder, David Thurgood, who sadly passed away in January this year. This entry was posted in General on September 13, 2016 by adminblog.